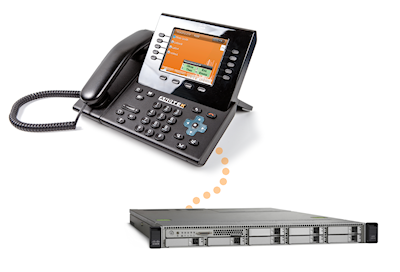 ANDTEK applications can be installed on Cisco UCS servers and work in a co-residence environment. Installing unified communications applications on the Cisco UCS leverages existing hardware and reduced deployment costs. Espcecially for the Cisco Business Edition 6000 there is a UCS C220 M3 Rack Server where ANDTEK services can use resources to be executed. Cisco ®, Cisco IOS ®, Cisco ® Systems and the Cisco ® Logo, are registered trademarks or trademarks of Cisco Systems Inc. and / or affiliates in the U.S. and certain other countries. Cisco Unified Call Manager and Cisco Unified Communications Manager are referring to the respective products of Cisco. Apple ®, iPhone ®, iPod ® Mac ® and Macintosh ® are trademarks of Apple Inc., registered in the U.S. and other countries. Microsoft ®, Windows ®, Outlook ®, Lync ® are registered trademarks of Microsoft Corporation. ANDTEK©, AND Phone© and AND Mobile© are trademarks of ANDTEK GmbH. ANDTEK is an Enghouse Interactive company. All other trademarks mentioned in this document or Web site are the property of their respective owners.